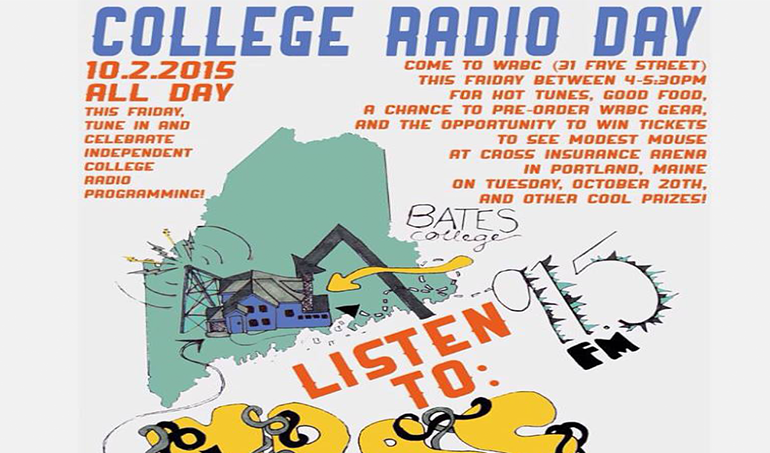 October 2nd, 2015 marked another successful College Radio Day for WRBC, the headquarters for Maine College Radio. Everyone who was a part of College Radio Day here at WRBC knows it was a huge success! 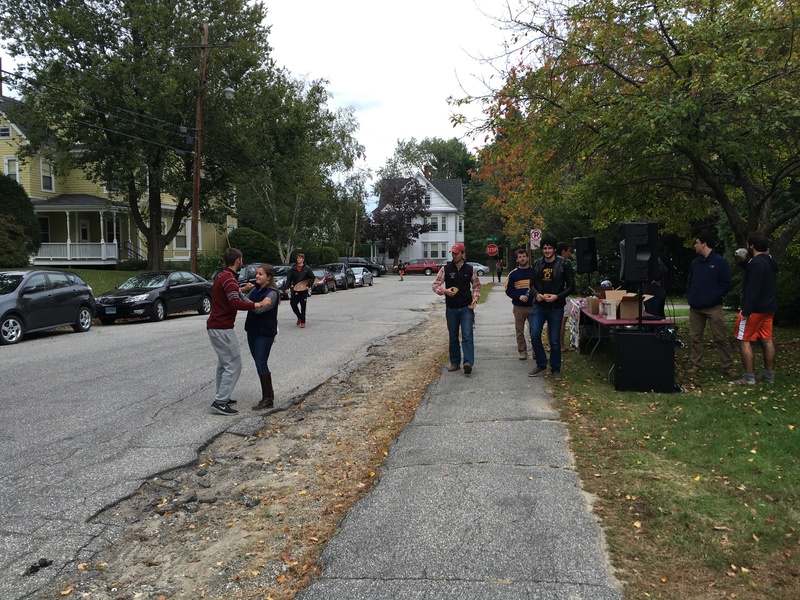 It was a celebration filled with food, raffles, and a special College Radio Day 2015 broadcast. Special thanks to DJ Society – specifically Joe Exume and Christian Zavala for their help in making the day great. 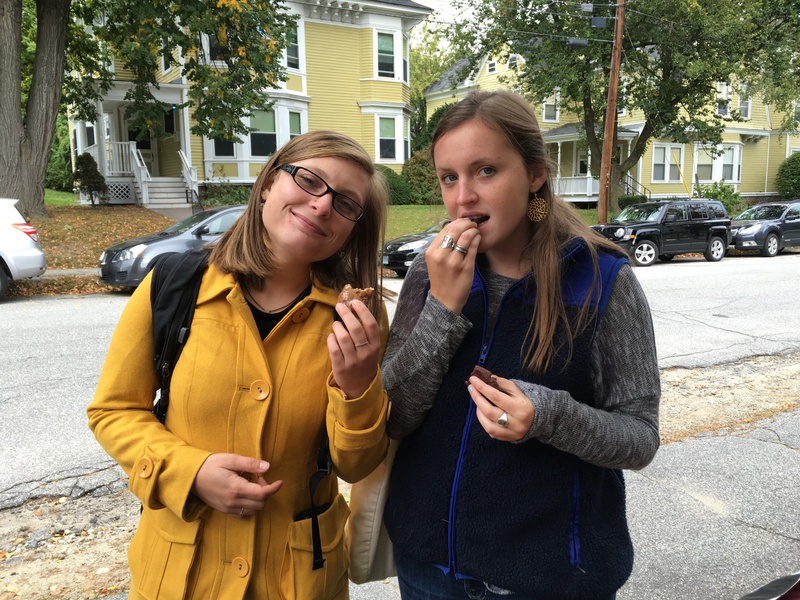 Left, Emma Marchetti of “BTDUBS,” and Cecily Tennyson of “Because We Said So” enjoy some noms outside the station. Tune into their shows on 2-4pm Thursday and Friday, respectively. 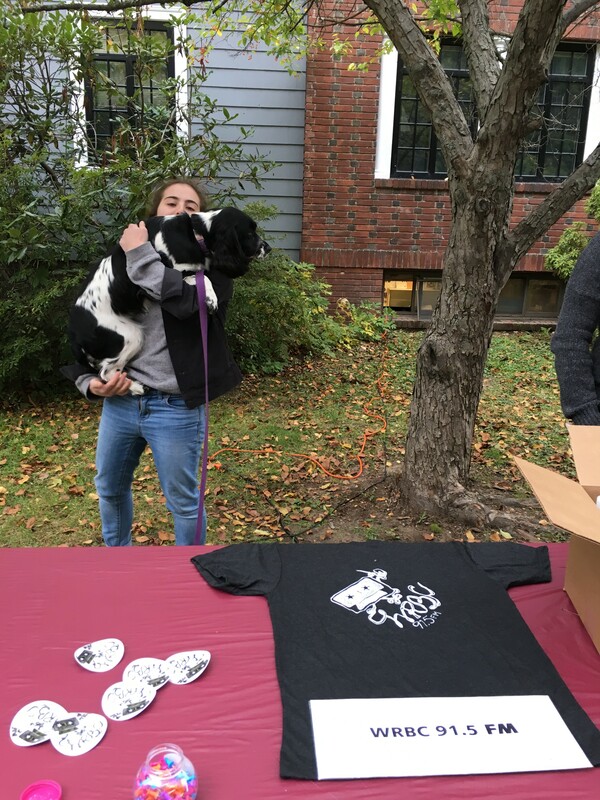 WRBC Merch and Dogs — What could be better?